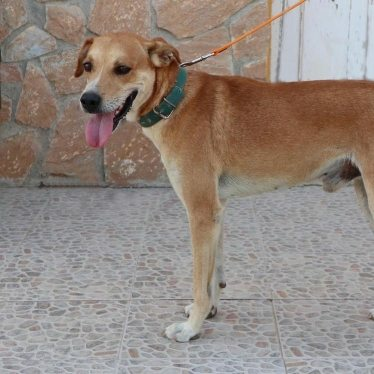 Rojo is a 2-3 year old male Cross-Breed. Rojo is a stunning looking lad with a short tan coat with almost a Saluki look about him, Rojo stands at 54 cms and weighs 19.5 kg so he is a medium build. 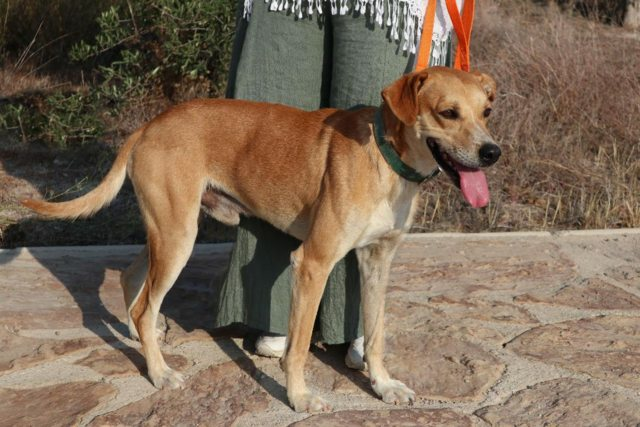 Confident, quiet, good with other dogs and used to being around street cats, he walks well on the lead. He appears to be housetrained as he is clean in his kennel. Rojo isnt bothered by cats at all and he is a gentle dog so we think he will be okay with children above 8 years. Rojo is such a nice lad, he is a good all rounder and a fab family dog. 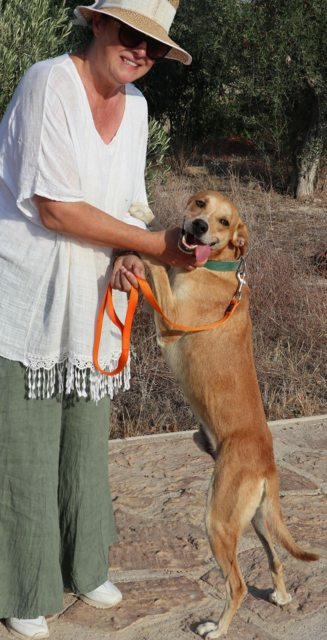 He was being fostered by a kind man, but the man had to leave Spain and could not take Rojo. The other dogs he was fostering found homes in the UK so Rojo had to go to the Paws shelter without his pals, but he is determined to enjoy his time there and is already a favourite with all the volunteers. Current location is in Spain can travel to the UK once he has a home to go to. Vaccinated, wormed, flea treated, Neutered, Microchipped, Pet Passport, FREE 4 weeks Pet Insurance to be activated from the link on our website, Any known health issues NONE KNOWN. For Dogs coming from Spain: This adoption fee is a contribution towards the costs of rescuing the dog- microchip, passport, vaccines, tests for S European diseases, neutering (if old enough), parasite treatment and transport to the UK. We can not home dogs from Spain to people who work full time or long hours, unless some sort of doggy day care is offered. They need someone at home a lot of the day, they are not used to being alone for long periods. A dog walker for an hour out of the day is not enough.